Gold medal winner of the 4th (2015) Beverly Hills International Book Awards for Literary Fiction. Gold medal winner of the 2016 Next Generation Indie Book Awards for First Novel. Silver medal winner of the 28th (2016) Benjamin Franklin Awards for Best New Voice in Fiction. Finalist in the 10th National Indie Excellence Awards for Literary Fiction. Honorable Mention in the 2016 Eric Hoffer Awards for Fiction. Finalist in the 2016 International Book Awards for Best New Fiction. Anna, who has always lived under the microscopic judgment of her narcissistic mother, is a Russian immigrant on the verge of turning forty and a single mother of a headstrong teenage daughter. After a life-long succession of regrettable choices and a slew of bad relationships, Anna gives up hope of finding her better half-until she meets David. Their all-consuming love seems timeless and everlasting, but both of their pasts just might destroy their future. A moving tale of three generations of Russian women living in New York City, of fate and love, of bonds that shape and shadow our lives. 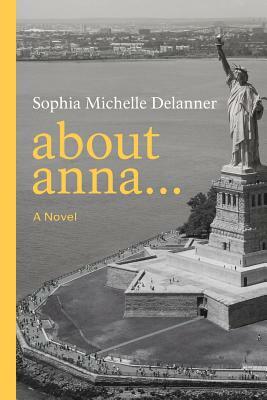 Crossing generations and continents, Sophia's narrative details, with uncompromising candor, the joys and hardships of an immigrant renting an apartment in a shabby-chic neighborhood, where the long-buried tensions that fester among families begin to surface in unexpected ways and change the family forever. Engrossing, unpredictable, and moving, the novel will make you laugh out loud one moment and swallow back tears the next. In the vein of Vladimir Nabokov, Mikhail Bulgakov, and Leo Tolstoy, About Anna... presents a rich narrative about a life in which the road to forgiveness is hard-and the path to self-acceptance is even harder. Delanner's complex characters will resonate with you long after the final page is turned.